C. Kurtzmann & Co. Grand Piano #67711 is one of the most stunning Louis XV Style Art Case Grand Pianos we have ever restored here at Chupp's Piano Service. This gorgeous instrument is veneered in a rich cut of Circassian Walnut. Click to read more. For over four decades we have specialized in the art of vintage piano rebuilding and service. Meet the craftsmen that make it all happen here at Chupp's Piano Service. Chupp’s Piano Service, Inc. specializes in the rebuilding and repair of vintage ‘golden era’ pianos including fine Steinways, Mason & Hamlins and Baldwins. We are also an authorized new Kawai piano dealer and offer a selection of premium pre-owned Yamaha pianos. We have over four decades of experience and the required training and expertise to make us piano specialists, and not just general repair technicians. Whether you are looking to purchase a new instrument or restore a grand piano, we can assist in providing the exact piano service you require. We are a family owned and operated full-service piano business located in northern Indiana that extends our wide range of services to customers located across the country and beyond. Whether you need piano tuning service, expert piano moving or you need your piano fully restored, we have the necessary expertise and skill needed to handle the job properly and professionally. 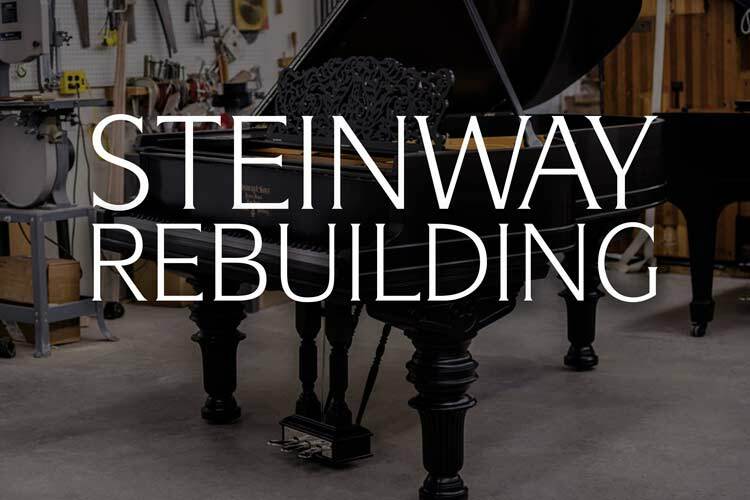 We are proud to focus on restoring and rebuilding vintage Steinway grand pianos to like new concert status. Our restored Steinway pianos grace the stages of concert venues, universities and living rooms across the country. With dozens of restored pianos for sale, we are ready to help you select the piano of your dreams! We are passionate about providing our customers with the highest quality workmanship. Great care goes into every single piano restoration and project we undertake and we work hard to ensure you are completely satisfied with your finished instrument. We don’t just take pianos apart and put them back together. We take the time to go over each fine instrument thoroughly to ensure that the action is regulated, expert tone regulation is conducted and the piano is tuned and producing the correct tone and touch that is right just for you. Our premium Steinway & Sons restorations utilize factory authentic American Steinway, German Steinway or the actions parts of your choice. 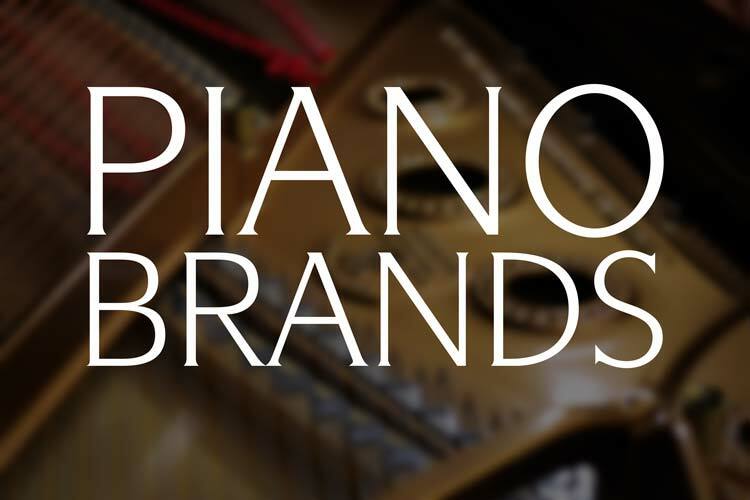 We are proud to offer completely restored and original condition Steinway & Sons, pre-owned Yamaha, restored Mason & Hamlin and many other quality piano brands. Every piano we restore and sell is crafted to be of the highest quality and feature phenomenal sound! Looking for a used Steinway piano for sale? 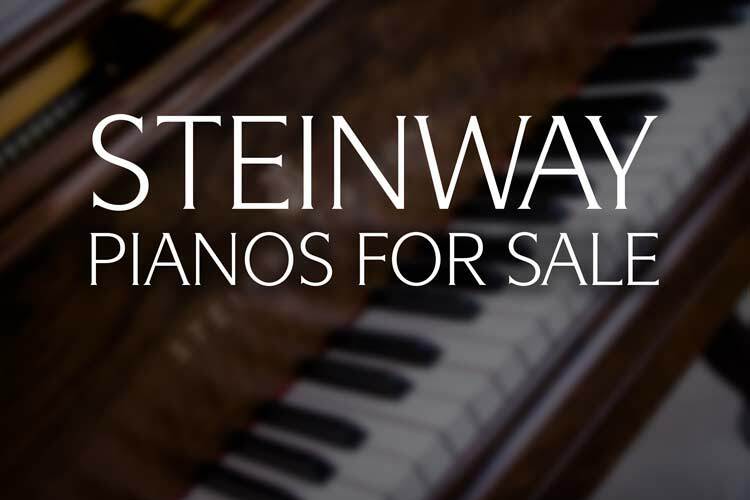 We have one of the largest selections of used Steinways in the Midwest in stock today, with clients who travel from around the globe to choose from our world class instruments. We have over four decades of experience and the training it takes to make us piano restoration specialists – not just general repair technicians. We are proud to be a family owned and operated, full-service piano business serving the piano needs of many around our community and the world. Whether your piano needs tuning or a major rebuild, we have the skills to take care of it properly and professionally. We specialize in premium restored pianos and continue to restore the prized instruments of individuals and venues across the nation. Our work is of the highest caliber and the pianos we restore have become the preferred pianos of countless performance halls, universities and pianists. 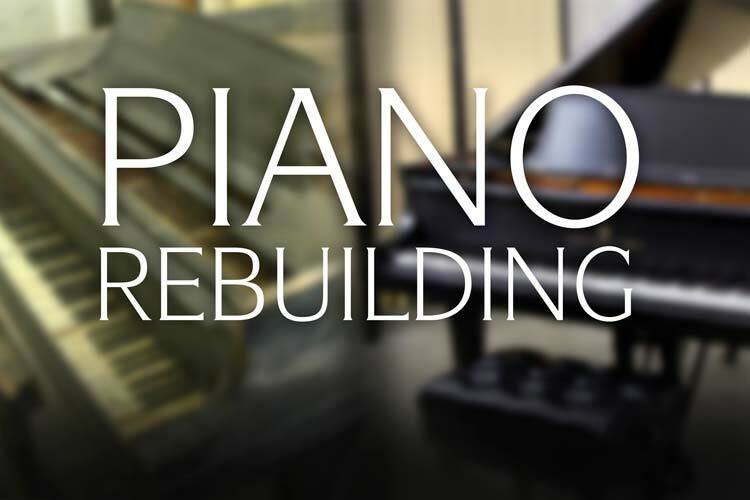 Let us help you give your prized piano the restoration and new life it deserves! For decades we have worked to hone our craft and restore the best pianos possible. Chupp’s Piano Service, Inc. has the experience needed to ensure the highest caliber of work. 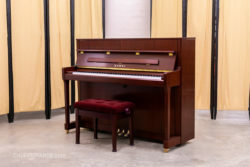 Whether you need your piano tuned, fully rebuilt or are in the market to purchase your dream instrument, look no further than Chupp’s Piano Service. Our premium Steinway Piano Restorations show our commitment to craftsmanship and utilize the best techniques. We have a long tradition of service with high caliber work that has stood the tests of time. 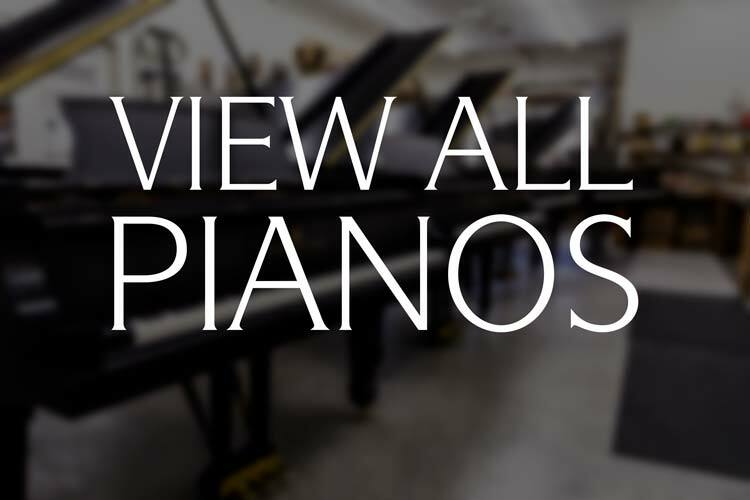 Our showroom features restored Steinway, vintage Mason & Hamlin, new Kawai and many other fine quality pianos. Located conveniently between Chicago, Fort Wayne and Detroit, we are ready to serve your piano needs. We wanted to express our deepest appreciation for the outstanding help and expertise we received when purchasing our piano recently. We had talked about getting a piano to replace one we sold a number of years ago. One morning while using the internet to see what was out there for sale we came across Chupps Pianos. We were impressed by their variety, their expertise, and their workmanship. The opportunity to purchase a Steinway in great condition at such a value was stunning. Thank you to everyone at Chupps Piano for their professionalism, their class, and their kindness to us. Please feel free to share this recommendation with others or even have them contact us directly if that helps with others being able to have the beautiful sound of a quality piano in their life! "The Steinway I bought from you is a magnificent instrument. Every single detail is amazing - warm and deep tone color, sensitive pedals, and the action - the heart of the piano, is capable of creating a great diversity of timbre. My technician also speaks highly of my piano!" I searched all over the Midwest looking for a used concert grand for our church, and after playing dozens of pianos in Minneapolis, Iowa, and Michigan, I didn’t find a better piano or a better value than at Chupp’s in Indiana. When the piano arrived, the word spread throughout town and people were so excited that a couple dozen people showed up just to watch the piano get unloaded and installed in the sanctuary. People who had never seen a 9′ Steinway were actually moved to tears at just the sight of it! And the sound is incredible. Every day people have been coming in to play it and hear it. They all say the same thing: they didn’t realize a piano could even sound this good! The piano arrived and was exactly as expected. It was and is magnificent. Over the three years that I have enjoyed this heirloom, my appreciation of it and the work Mr. Chupp put into restoring it has continued to increase. It has become the centerpiece of our living room. I come home every evening and unwind by playing this piece of art. My wife started piano lessons last year along with our elementary school age daughters. Error: Error validating access token: Session has expired on Thursday, 10-Jan-19 19:00:02 PST. The current time is Wednesday, 24-Apr-19 21:39:55 PDT.